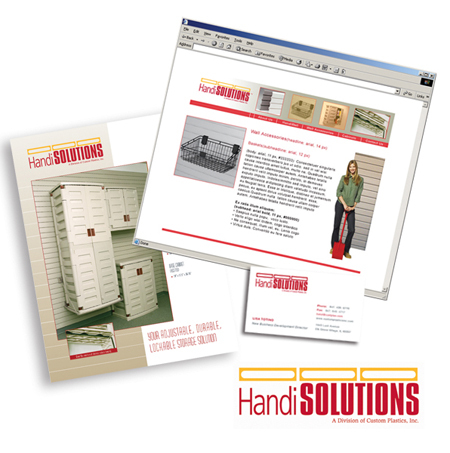 HandiSolutions Case Study - Competitive analysis, brand strategy, logo and identity system, website design and implementation, brochure, sell sheets, catalogs, direct mail campaign. 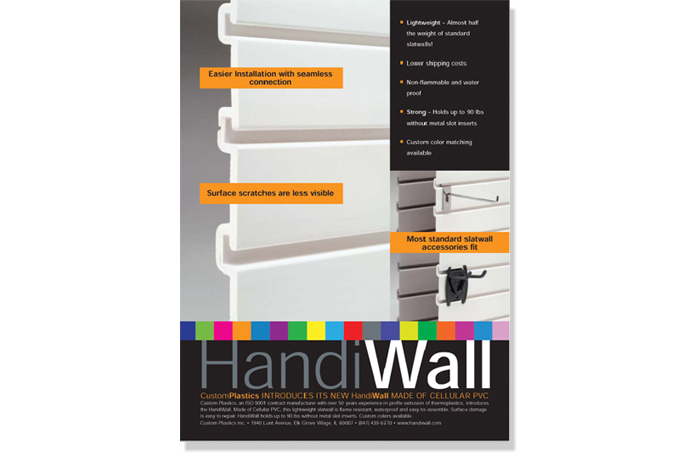 Custom Plastics asked us to assist them in their launch of their new product line, HandiWall Solutions, a range of plastics extruded / injection molded products that allow product packaging to be hung on the walls in retail environments. After a 3 year relationship, Custom Plastics took our relationship a step further by asking us to assist them in their launch of their new product line. 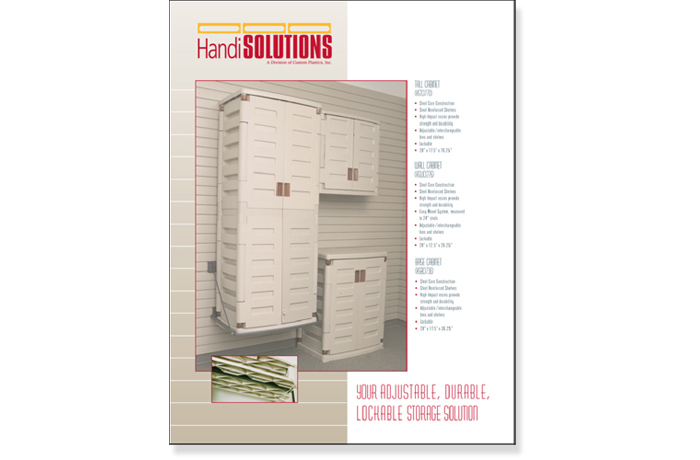 The outcome of this strong partnership is HandiWall Solutions, a range of plastics extruded / injection molded products that allows product packaging to be hung on the walls in retail environments. The first order of business is to create brand awareness of the product, hence the development of a consumer brand identity for this product that is separate from the typical contract manufacturing nature of Custom Plastics. As this is a straight-to-consumer product, advertising becomes essential. This advertisement was placed as a full-page advertisement in P.O.P. Magazine. A set of sales-sheets and direct mail pieces quickly followed to encourage sales volume and acceptance of the product line. As always, the website became the core tool to disseminate information and promote the product. As part of the product launch, Evo developed the brand strategy, the brand message, logo, business cards, direct mail catalog, brochure and other print collateral to make the launch a successful one.